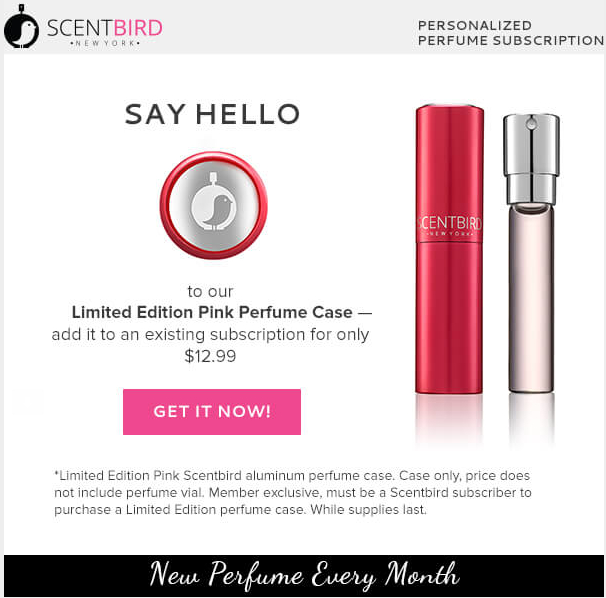 Scentbird Perfume Subscription Deal! Buy 1 Month Get One Free! First, I freely admit that I love Scentbird. I am subscribed and love receiving my new perfumes every month. Yes, I'm so obsessed that I bought the pink case while it was available, too. Right now, if you are a new subscriber, Scentbird is running a BOGO offer! Sign up, fill out your profile, choose your first perfume and the second month will be free! Since you get to choose all your perfumes, make sure you have at least two in your queue. Otherwise you will get the random "Perfume of the Month." Not that the "Perfume of the Month" is bad (They're not! I've loved the picks!) but if you want something specific, you better make your picks. I am personally head over heels for the Michael Kors. Love, love, love and can't get enough of it. So much so that I would buy the full size, just to have it forever. Since that's how long perfume usually lasts for me, it's probably unnecessary until my Scentbird purse spray runs out. Each purse spray has enough perfume for thirty days at two spritzes a day. I haven't used up any of mine yet but I'm getting a really awesome collection and I now have a perfume for pretty much every mood. That's new for me! Anyway! Sign up for Scentbird right here and get a free month! This is one of the best deals I've seen so far and trust me, you'll want that second month. You'll probably want a third, too. They have a huge selection of perfumes and brands. The profile system has worked really well for me, too, and I've liked everything they've had in my suggestion list. So go do it! Now is the best time if you've been contemplating it! Sign up for Scentbird and start your own collection! And GUESS WHAT!? They released a new limited edition color!! RED! It costs extra and is added to your regular shipment (you need to be a subscriber to get it). How will I resist?! 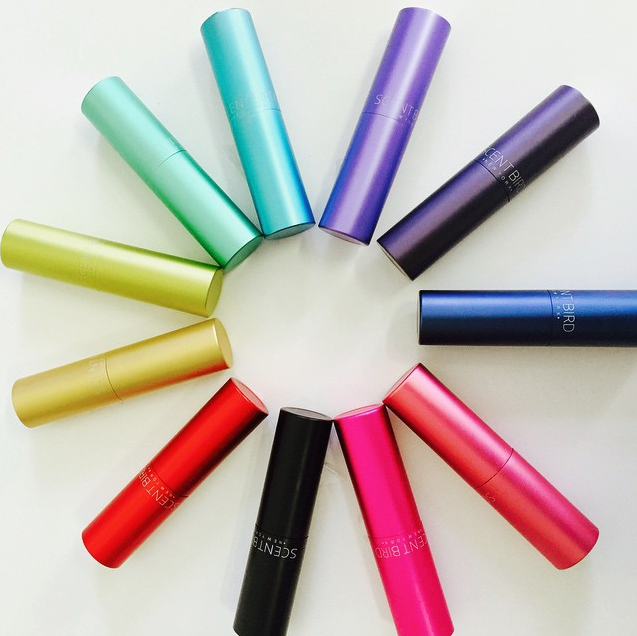 Oh, and I also want to note that there is a very real possibility of other new colors for the atomizer case. It looks like they may be released one at a time and the exact colors are still in limbo. I'm so in for so many of these colors. Purple and that Tiffany blue for sure! And that dark blue! Oh, what the heck... I'll take one of each.